In 2017, we’re way past imagination. And with the combination of high-speed Wi-Fi, bluetooth, and the internet of things (IoT), you can live in a version that world, today. The ultimate smart home optimizes our lives for comfort, convenience, and pleasure. It’s designed to make you feel like you’re floating through life with as little friction as possible. Not to mention, saving you time, energy, effort, and maybe even money in the long run. And just for kicks, a few features to make your friends and family say “wow” at every turn. But we don’t just want to imagine it, we’re going to show you how to build it. We’ll cover the essential smart home devices, useful apps and accessories, features to consider, and how to deck out each room for maximum comfort and convenience. One of the biggest challenges of building a smart home is keeping track of all of its elements. From the light switches, to the coffee pot, to turning on your holiday lights, to your home entertainment center, controlling each device through a separate app could be more of a hassle than it is useful. That’s where the smart home automation hub comes in. When it comes to choosing your automation hub, the choices are varied. Some of the best options on the market are the Amazon Echo, Google Home, Wink Hub 2, and Samsung SmartThings Hub. One of the perks being that all hubs come with an app that helps you connect the smart, Wi-Fi or bluetooth enabled devices in your home — all in one centralized place. 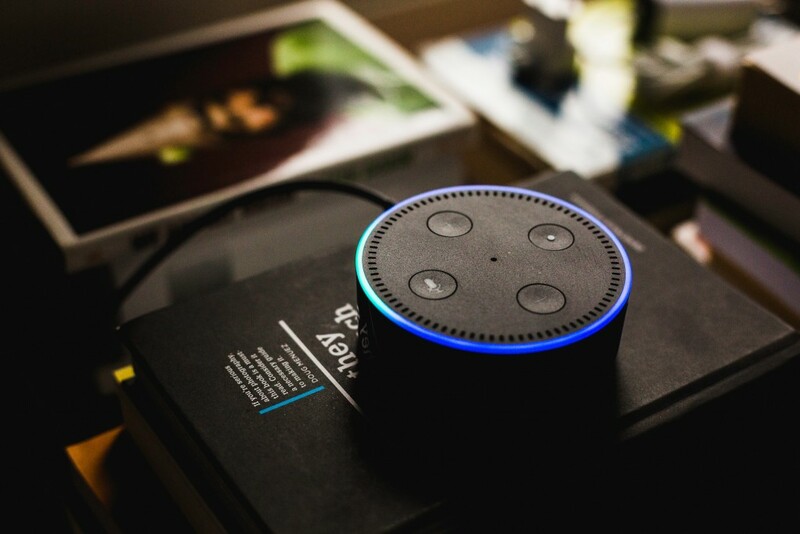 Both Amazon Echo and Google Home are voice activated and come with built-in speaker systems adding to their convenience, and serving as a constant reminder that we’ve invited the robots into our homes. However, not all hubs work with all devices, and not all devices are entirely compatible with one another. Although the hope is that one day they will be. Having a strong and seamless internet connection throughout your home will be helpful with all these Wi-Fi connected products and appliances in your home. To help, you might want to consider something like the Eero Mesh Router System — especially if you have a larger home with multiple rooms. ”Mesh networks solve a particular problem: covering a relatively large area, more than about 1,000 square feet on a single floor, or a multi-floor dwelling or office, especially where there’s no ethernet already present to allow easier wired connections of non-mesh Wi-Fi routers and wireless access points,” says TechHive’s, Glenn Fleishman. This will help alleviate the lag time that makes you feel like you could’ve just flip the lights on yourself in less time. In addition, you’ll definitely want to sign up for IFTTT. IFTTT stands for “If This Then That”. IFTTT lets you create a series of applets or “recipes” that connect your services and devices to create automated experiences. For example, if you have a Nest thermostat and Wink compatible lighting or door locks, you can create an IFTTT recipe that locks your doors and turns off the lights when your Nest is set to “away” mode. Boom! You’re one step closer to living in the future. Finally, you should probably definitely have a smartphone if you don’t already. Who are we kidding? There’s about a 53% chance you’re reading this on your phone anyways. One of the most basic smart home features you can set up in your home is the lighting. It’s a feature that you’ll use everyday — and an easy one to show off when your friends or family drop by. To get started, pick up a set of Philips Hue Smart Light Bulbs. You can use these bulbs to set the mood for the evening, time your lights to turn on when you get home, and much more. The Hue White Starter kit comes with a bridge (which you’ll need to connect to the app), and four bulbs that you can connect to different rooms in your home. There are plenty of brands to choose from, too. Most of the major developers products will integrate with a smart hub of your choosing, but some will only work with proprietary systems. That’s worth factoring in if you’d like your hub to be a one-stop shop for all of your devices. Naturally moderating your home’s temperature (and reducing your utility bill) by syncing it with Nest is a compelling feature. Being able to automate the opening and closing of your blinds like you’re living in a swanky Las Vegas hotel is just a bonus. Once you have your lighting system all set up, you’re going to want to regulate the temperature in your home. As we mentioned, the Nest Learning Thermostat is a great product for that. Not only does the product look sleek, but it’s smart, too. Within a week’s time, it will automatically program itself based your temperature preferences. For example, Nest will learn to power down when you’re away to avoid heating or cooling an empty house, ultimately save you money. And like many smart home technologies, you can control it from anywhere using your smartphone or tablet. Now that you’re capable of managing your home while you’re away, let’s get you set up with monitoring it. There are numerous ways to protect and secure your home providing you peace of mind just a few touches away. With Ring, you can monitor your home from any internet-connected device. Their video-enabled doorbells, let you see, hear or speak to anyone on the premises of your home. When integrating Ring with IFTTT, you can automate sequences to provide additional security. For example, toggling the lights on your Ring Security cam when motion is detected at the door. 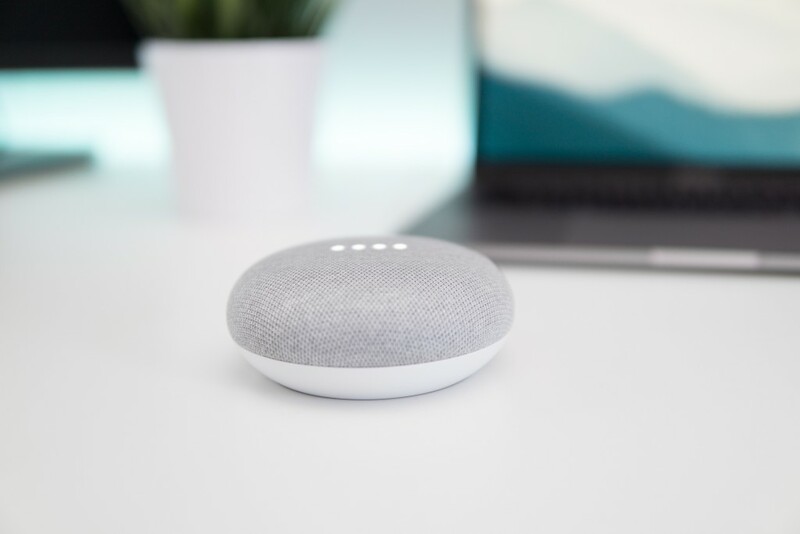 Other smart home technologies with home security benefits like SimpliSafe provide features like 24/7 professional monitoring and police dispatch — all fully controllable from your smartphone, tablet, or laptop. With a safe and secure, energy saving, adequately (and elegantly) lit home in the works, it only makes sense that you’ll want to keep it clean. Smart home tech like the Roomba have been around since 2002 so it only makes sense to include a robot vacuum to keep your place tidy. Robot vacuums have come a long way according to Consumer Reports review. The technology has only gotten better and more affordable. Depending on which product you select, you can set, schedule, start or pause a cleaning cycle right from your phone. And we would be remiss if we didn’t mention smart sprinkler systems that let you care for your freshly cut lawn from anywhere in the world. 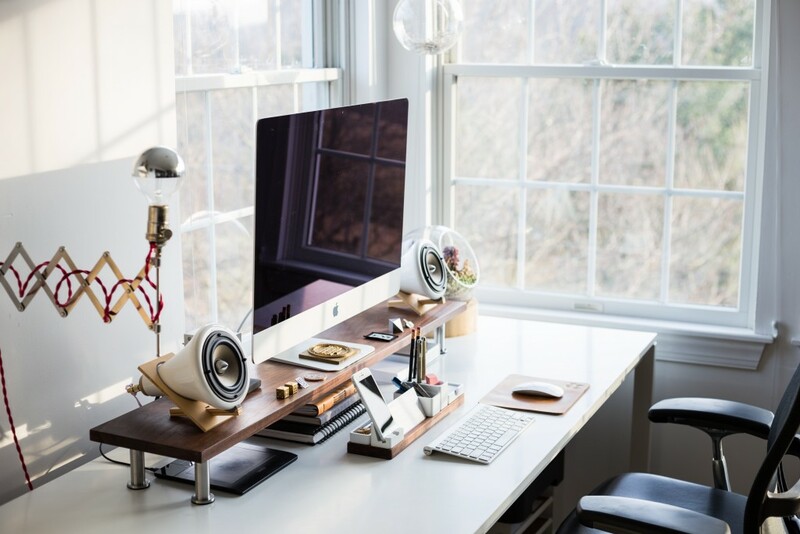 Now that you’ve got the foundational elements of your smart home all set up, let’s walk through some fun (albeit functional) accessories, appliances, and furniture for your smart home — room by room. According to the National Sleep Foundation, regulating room temperature and sleeping on a comfortable mattress and pillows can significantly contribute to a good night sleep. And a good night’s rest naturally leads to a higher quality of life, right? The Sleep Number Bed is one of the best beds to serve that purpose. With it’s SleepIQ technology, it measures your breathing, heart rate, and automatically adjust to your movement while you sleep. The corresponding app will give you a sleep score to help you evaluate what changes you need to make in your sleep routine for a better night’s rest. Showering is one of the more wasteful and inefficient activities we do in our homes. According to the Alliance for Water Efficiency, the average American shower uses about 17 gallons of water and lasts about 8 minutes. EvaDrop, the first smart shower and claims to save up to 50% of your water with its smart design. With the EvaDrop app, you can program a desired temperature before hand, saving water before you get in the shower, and even set a timer for the duration of your shower to keep you on track. A 2015 study of household activities revealed that women and men spent 37% and 15% of time at home on food and drink preparation and kitchen and food clean-up. It goes without saying that we spend a lot of time in the kitchen. 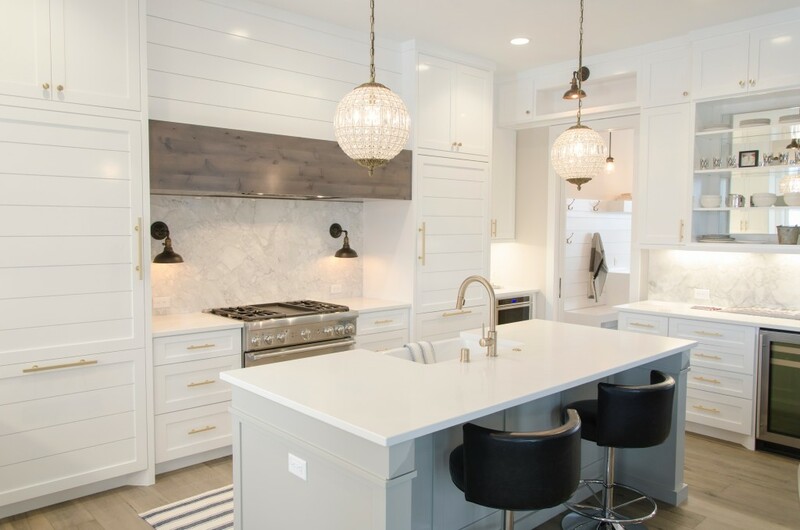 Outfitting your kitchen with smart or Wi-Fi-connected appliances can make that time more efficient and enjoyable. For starters, you may want to pick up a Mr. Coffee Smart Optimal Brew. You can start brewing a fresh cup of coffee before you get out of bed or schedule a pot the night before by powering your coffee maker with a WeMo smart plug and corresponding app. For the other major kitchen appliances, you may want to consider LG’s series of smart, connected appliances, especially if you like consistency across your home appliances. You can preheat your oven from the living room, check your dishwashing cycle without lifting a finger, or set your fridge to “vacation mode” when you’re away to save on energy costs. Each appliance is compatible with Amazon’s Alexa, and Google Home, for the added benefit of the hands free assistance that’s always useful in the kitchen. According to Nielsen’s national TV panel, about 29% of U.S. television homes have an enabled Smart TV. For your smart home, you have plenty of quality options to choose from. Simply connect to the internet, log-in to your streaming service, and you should be all set. If you want to add some truly high-quality sound to your tunes, TV, or movie experience, you might want to look into a Wi-Fi or bluetooth supported speaker system. Being able to adjust the volume because you can’t find the remote is a thing of the past given our phones are almost always within arms reach. The laundry room has traditionally been a pretty low-tech space in the house. There aren’t too many significant smart automations to the process of washing and drying clothes, but convenience and efficiency have gotten upgrades. Wi-Fi connected appliances like GE’s Connected Washer and Dryer, or Whirlpool’s Wi-Fi appliances can tell you when a load is done for maximum timing and efficiency. You can even integrate your washer and dryer with Nest to make energy efficient choices when you’re away. And when you run out of detergent, fabric softener or lint filters, Amazon’s Dash Button has you covered. Simply connect it to your Amazon Prime account and re-order what you’ve just run out of with a click. Ready to tackle DIY Home Automation for yourself? The post DIY Home Automation Ideas From the Pros appeared first on Primetime.